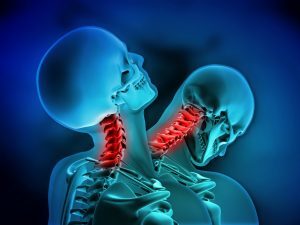 Whiplash is a common injury that occurs due to the rapid movement (back and forward) of the neck muscles, usually with great force. This is also known as neck sprain or strain, with common symptoms like stiffness, neck pain, upper back pain, and headaches. While whiplash is a well-known injury, there are many misconceptions surrounding it. Whiplash therapy centers in Salt Lake City get things straight with some facts you need to know about the injury. Car accidents are not the only cause of whiplash injuries. Whiplash is common in motor vehicle accidents (rear-end car collision), but it can also result from sports injuries (high-impact sports), physical abuse, and even amusement park rides. Other causes include cycling accidents, horseback riding, and falls in which your head suddenly moves backward. It can happen, even at low speeds. In motor vehicle accidents, you can still get whiplash injuries even with speeds as low 5mph to 10mph. A low-speed collision may have little to no damage to the vehicle, but the driver and the passenger can still sustain injuries. Its severity will depend on whether you are properly restrained with a seat belt. The symptoms do not always immediately show up after the accident. While you are likely to experience pain after the accident, the symptoms may not show up for hours, days, or even weeks. This only makes it important to see a healthcare provider after the accident for proper evaluation and to determine if you have sustained any whiplash injury. It is important to get X-rays or imaging tests to make sure that there no dislocations, fractures, and other injuries. Whiplash therapy and some treatments can help you get better in a few weeks or months, but do take note that whiplash can sometimes cause severe symptoms that can last a long time. Resting more than a few days is not advisable. If you have whiplash, it is best not to rest for prolonged periods. It is normal for your neck to be painful, but it is important to keep it mobile to speed up your recovery. You will experience some pain when moving your neck, but this is normal and will not cause further damage. You can return to your normal soon as your healthcare provider says it’s fine. They may also recommend whiplash therapy to ease the symptoms and help you get back on track. Don’t ignore any whiplash symptoms or pain. Get an evaluation to alleviate discomfort and recover quickly. You can also benefit from seeing a chiropractor to effectively manage pain and symptoms.